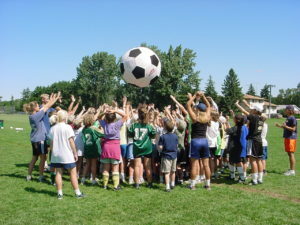 Since 1993, the Royal City Soccer Club has hosted unique soccer camp experiences for thousands of boys and girls at all levels of soccer. We are a registered non-profit community organization registered in Ontario, Nova Scotia, Manitoba, Saskatchewan, Alberta and British Columbia. We originated our programs in Guelph, hence, the Royal name. Through popular demand our camps have quickly grown to over 100 different locations across Canada. We look forward to continue offering unique soccer camp experiences for youth in Canada.